Equicube | Make Your Practice Perfect! Equicube | Make Your Practice Perfect! A revolutionary core strength training tool designed exclusively for equestrians. 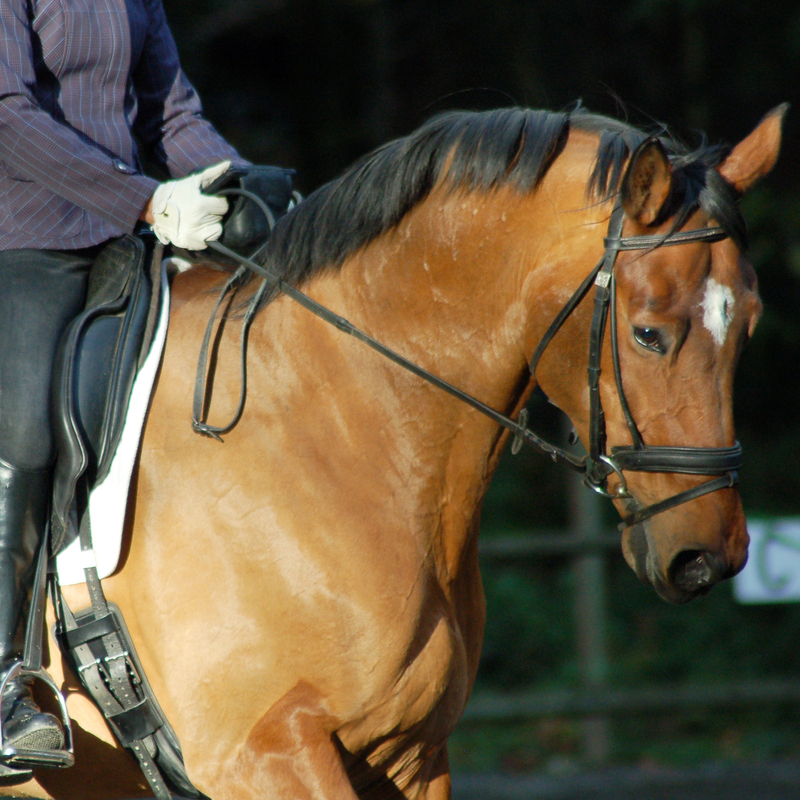 The Equicube is held in front of the rider while mounted, with both hands. The riders shoulders are down and relaxed, while the upper arm is draped at the riders side. Core muscles are engaged to support and balance the weight of the Equicube. The Equicube can be used for any level of rider, in any discipline. The Equicube assists riders to achieve the correct position while engaging the proper muscles, allowing the rider to sit up, bring their shoulders back, and create the ideal ‘feel’. The rider gains insight and an increased understanding of proper technique. When the Equicube is kept level and in front of the rider, aligned with the direction of travel, the rider’s core and rein aids naturally work together. 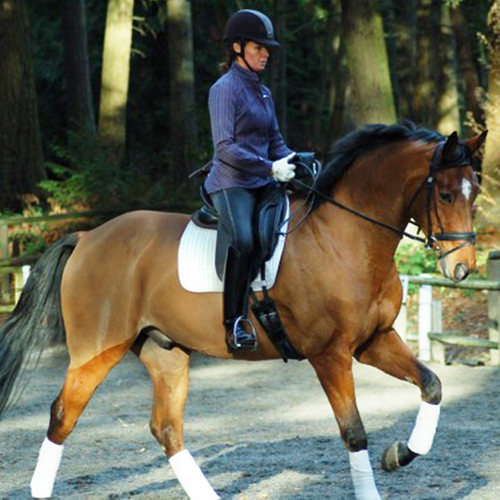 The rider no longer has to constantly work to position their seat, shoulders and legs, instead feeling the correct position, while simultaneously conditioning and strengthening core muscles. Improved posture and balance is achieved while riding. Even rein contact is created. Muscle memory is created, leading to long term improvements in riding technique and overall success. The Equicube works for all disciplines, since proper core engagement is an essential aspect of all riding. 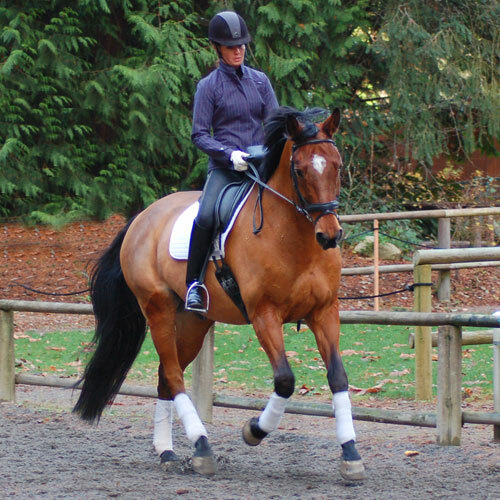 The Equicube can be used effectively to improve jumping posture and balance. 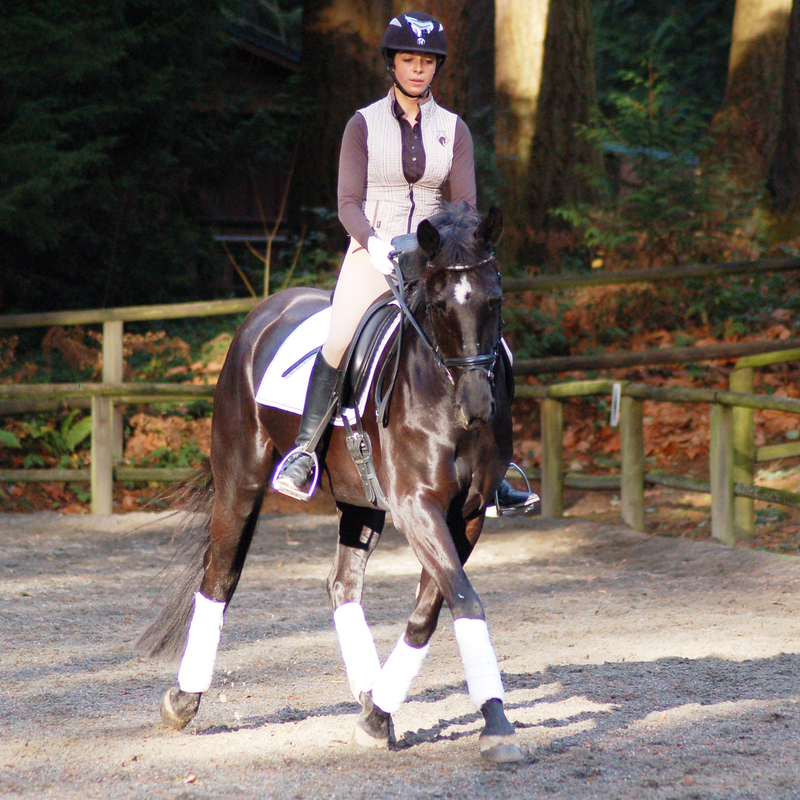 Lateral work is greatly improved with regular Equicube use. The Equicube is made in the USA out of 100% recycled materials. 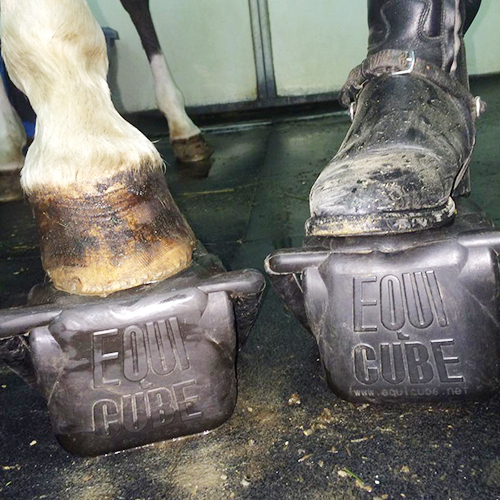 Constructed of solid rubber, the Equicube is built to last through even the roughest treatment. There are no sharp edges or corners, making the Equicube safe for both horse and rider. “I received my Equicube yesterday and gave it a try last night and all I can say is that it is awesome! It was like finding the missing piece of the puzzle for me! I want to thank Linda Grandia for inventing this tool. I have Multiple sclerosis, and I am very weak. I bought the Equicube hoping to strengthen my body more. Since I do not ride much (three 30 minute rides a week) I gave my riding teacher my Equicube so that her other students could use it. She LOVES it. She LOVES how it straightens my back so she needs to yell at me less. She LOVES how my hands become steadier after I use it. Since my arms are so weak I can only hold it for one to two minutes during my lesson. In spite of the short time I carry it, the benefits last the rest of my lesson. I like the Equicube and my riding teachers REALLY like it too! Now instead of yelling at their students they can give them the Equicube to hold and these riders improve immediately. Thank you again for inventing the Equicube. My core is getting stronger and my riding teacher is yelling at me less for my many imperfections in the saddle. I’ve ridden horses seriously for around 47 years, and I have to say that the Equicube is a WONDERFUL piece of equipment, it is helping me correct problems that have plagued me for decades. When I have enough spare money I will probably buy more Equicubes for my riding teacher. They are worth every penny! 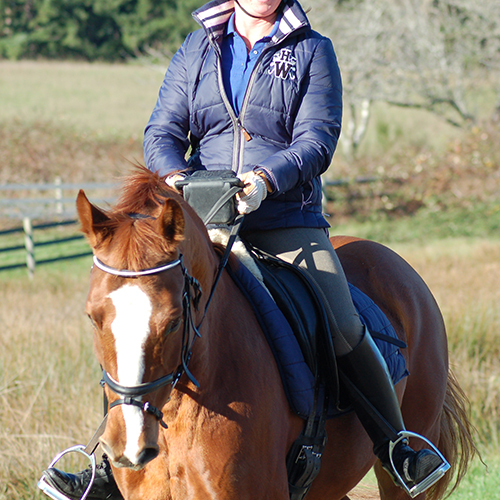 “I’m a lifelong rider who went through bad breast cancer a few years ago. I had a lot of surgeries and radiation on the right side of my body, that left me very physically compromised. I have a hard time sitting square in the saddle and keeping my hands even, as one side is much weaker than the other. I also have a hard time engaging my core, as my abdominal muscles are 50 percent weaker than they were (they were cut as part of surgery). Ready to improve your riding?